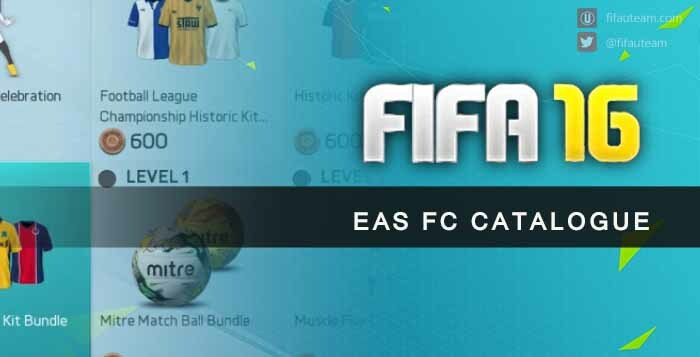 The EAS FC Catalogue is a store where players can exchange their FC Credits by items to use in their FUT club. 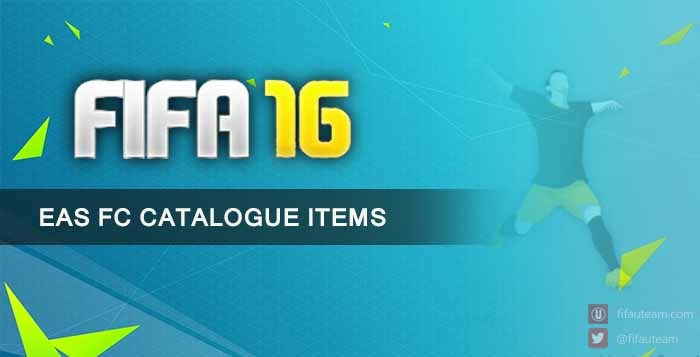 It houses hundreds of different in-game unlockable items that help them to improve their FIFA experience. Their EA Sports Football Club Level determine what is available for them to redeem. 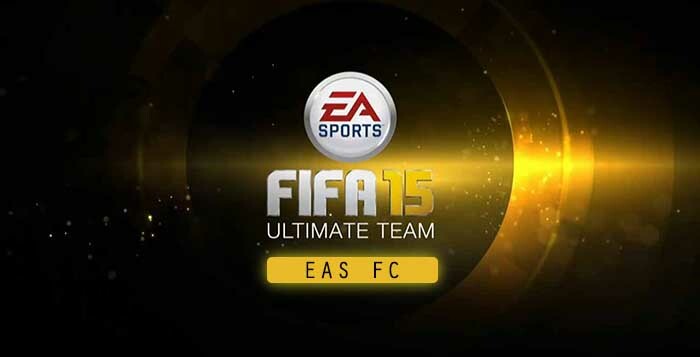 The EAS FC Catalogue was initially created for FIFA 13 Ultimate Team. It was the way that Electronic Arts found to reward players by their FIFA time play. Until there, their progression could be tracked by their XP level but it was useless. 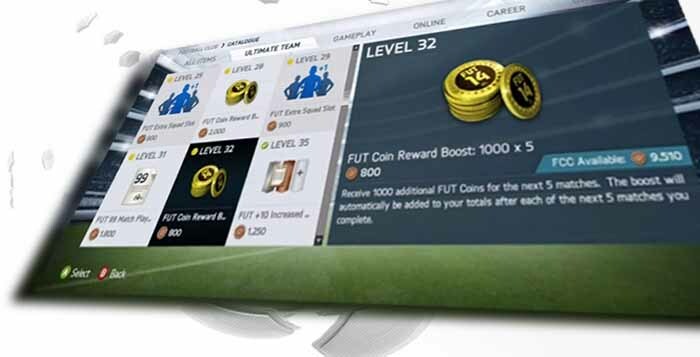 With the addiction of EAS FC Catalogue, they have more reasons to play the game because their efforts are rewarded with unlockable items: FUT increased transfer targets pile size, FUT increased transfer list size, coins boost, players on loan, FUT extra squad slot, FUT match player contract, FUT change club name, exclusive celebrations, balls and kits.